Have you ever been driving down the freeway in the slow lane, minding your own business, sitting right on the speed limit, only to find that when you come up behind a slower vehicle there is a line of cars speeding in the passing lane? 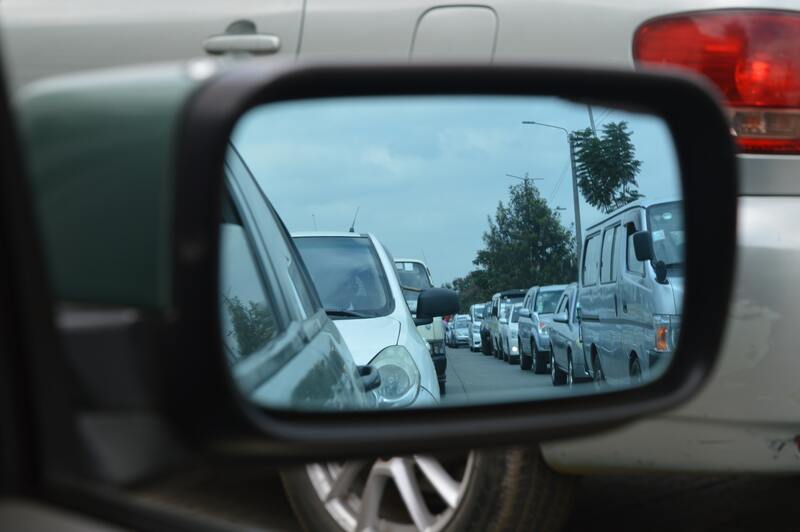 Those cars have been gradually closing in on you from behind and just at the time when you need to change lanes to overtake the slower vehicle, you find they have boxed you in! Now you have to wait for every one of those speeding cars to go by before you can get around the slower vehicle that is now holding you up! How annoying is that? It reminds you of the verse: ‘The first shall be last and the last shall be first!’ and you don’t like it! You were ahead of those cars but you end up behind all of them! You would be forgiven for being tempted to drive in the passing lane all the time from then on so nobody can do that to you again, except you would then be breaking the law yourself! Of course if you had been watching your rear-view mirror more diligently you would have seen the line of speeding cars approaching and could have pulled out earlier and avoided your frustration. You probably would have received some abuse from the first speeding driver who would have been forced to slow down to the speed limit, but you would not have ended up at the back of the pack! Now if you don’t have any 4 lane highways near you you’ll just have to imagine the above scenario because there is a lesson here for all of us and it relates to more than just driving down the highway and getting angry at other motorists. In life, if you are just cruising along, not really taking notice of what is going on around you, it is easy to get left behind regardless of whether you are in the right or not. You need to know what is going on around you! If you don’t, you are likely to have problems. − You should know the interest rate you are being charged on your Credit Cards, personal loans, mortgages, etc. − If you are not paying attention to this kind of stuff you can easily end up losing money and opportunities and as I said earlier, you don’t need to be in the wrong to end up at the back of the pack − all you have to do is not take notice of what is going on in the world around you! You may think you have better things to do with your spare time but if you don’t take care of your finances nobody else is going to. You could let a fund manager do the job for you but you will pay for the service and when all is said and done nobody will care about your money more than you will (or at least I hope so anyway!). Of course, it is better to save money in a managed fund than have no savings at all, but unless you know you are NOT going to do a good job of it I believe YOU should learn to be an investor. Don’t just cruise along leaving it up to other people. If you are still living week to week start by taking control of your cash flow. If you think that is too hard, get a Spending Planner to help you… go to www.findaspendingplanner.com. There you will find trained Spending Planners who are extremely passionate about helping people take control of their personal finances. The benefit of engaging the services of a Spending Planner will be far more than the outlay and what you learn during the process will benefit you for the rest of your life!